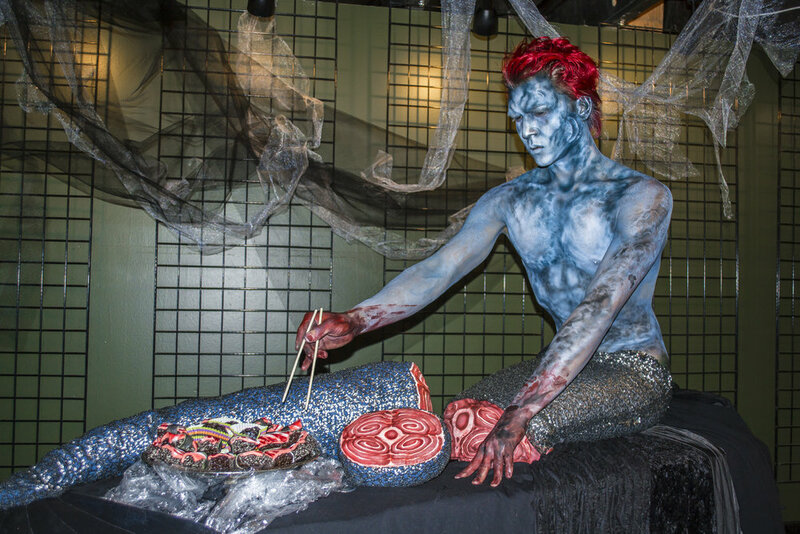 For the "Sushi Merman" look for Butter, I created a plush mermaid tail, mermaid steak, pencil skirt, and assisted in making edible "sushi" consisting of rice crispy treats and fondant. Jonathon and I also worked together to create a false table top to put his knees through while he sat on a stool, so that he could sit comfortably through the performance while creating the illusion that his tail was severed. To create this glitzy Aphrodite Goddess character I encrusted the shoulder piece, earrings, ring, hair clip, and cod piece with gems, pearls, sequins, and gold paint. 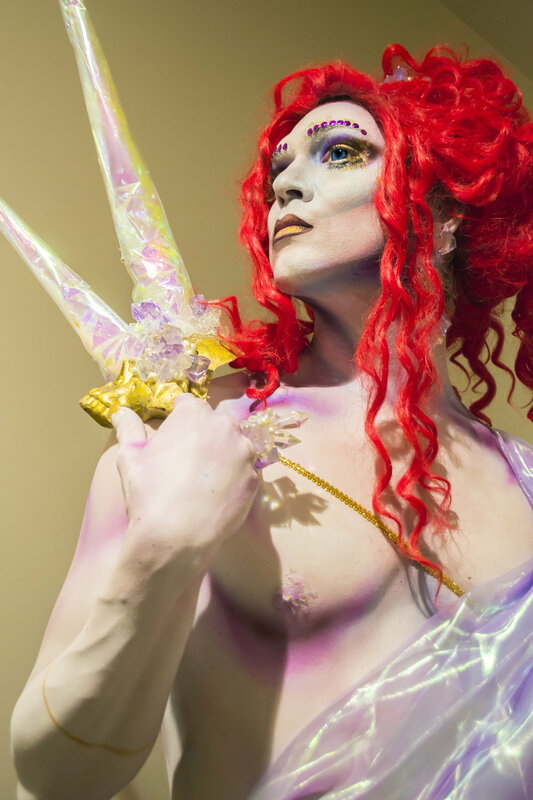 To create the dramatic shoulder piece, I used iridescent cellophane to make spikes that would remain light weight and maintain their shape throughout the high-energy performance. Jonathon and I envisioned iridescent glitz for this piece specifically for the uv lighting and colored lights of the club. Because of this, Lady Lycanthropy glowed ethereally all night long, making her an absolute show stopper. Created for Let Dreams Lie, directed by Alek Sabin. Created for Cooking for One, directed by Alek Sabin for the Demon Chaser film festival.